In November, journalism teacher Ellen Austin and upper school head Butch Keller, along with senior Alex Youn and junior Michael Sikand, traveled to Indianapolis for the 2016 National High School Journalism Convention. 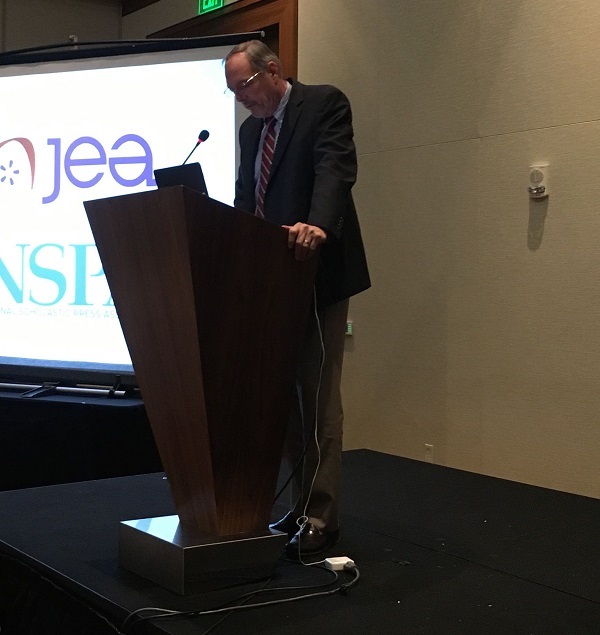 Keller, who in August was named the Journalism Education Association’s administrator of the year, attended the conference to receive the award. Austin was recognized for winning the National Scholastic Press Association’s Pioneer Award. In addition to bolstering his existing skill set, Sikand said he also learned new methods for reaching online audiences with various tools and branding techniques.